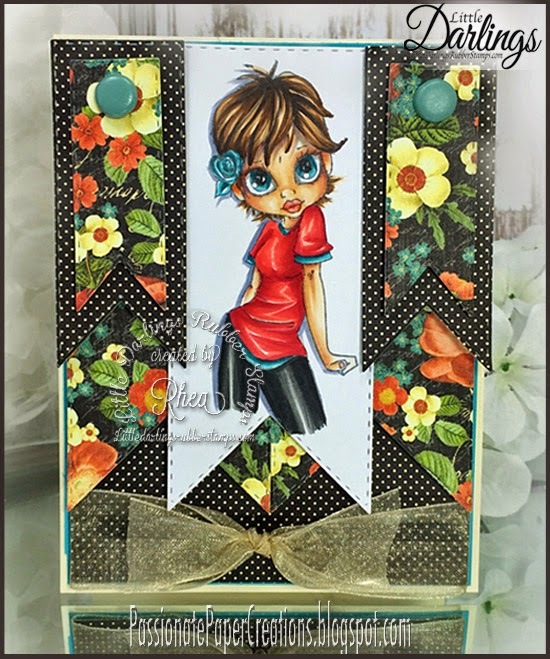 Today I am sharing a new stamp from Little Darlings Rubber Stamps. It's from Saturated Canary - Jeans and a Tee. It was just release this past weekend along with 4 other new Saturated Canary Stamps! And also released were 5 totally awesome From the Hollows Fairies! After coloring this image I used 'Stitched Flags" Die from By DIEzyne Dies to cut out the image. I then used all the Stitched Flag sizes to cut the pattern paper to design the A2 Size card and tied a bow with May Arts Sheer Ribbon. The Paper is New Graphic 45 Raining Cats and Dogs. The Card design took 15 minutes. Coloring the image took 30 minutes. Thank you for visiting with me today! I would love to have you visit my blog. 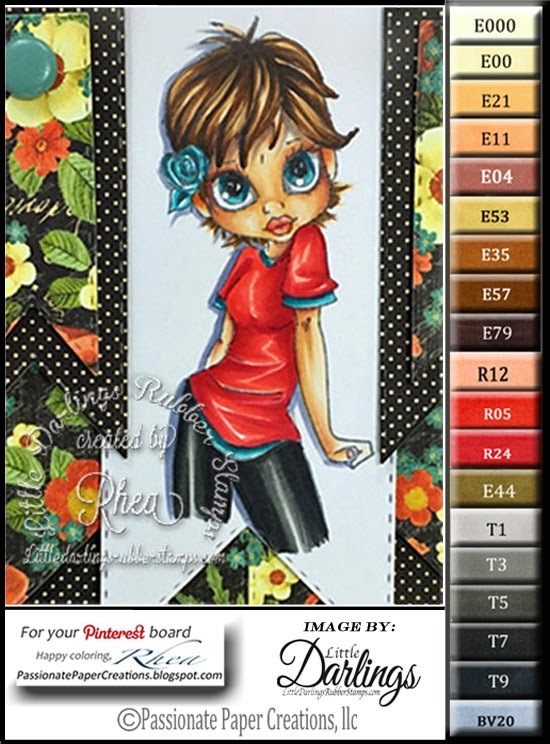 I have over 150 Color Palettes, lots of Little Darlings Rubber Stamps Inspiration and more inspiration on By DIEzyne Dies.